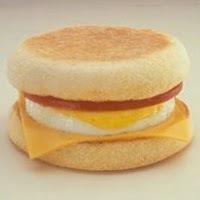 Overheard from zee: "McDonald's can make us sell Egg McMuffins all day long. We will lose money on it and become even slower!" details of their Turnaround Plan to the public on Monday, May 4th. website is a good place to vent them. “They could cut their burger number in half,” said Michelle Greenwald, a marketing prof. at Columbia Business School in NYC. "Easterbook is a marketing guy, he's not an operations guy." Operators and our latest Operator survey. Chipotle says a "fast food competitor"'s burrito (cough Taco Bell) contains hundreds of ingredients, Chipotle uses 68 total ingredients. they know something about McDonald's so conversations are sometimes routine. have been asked to buy into?" has any chain proven that they builds sales or fit into the operation of the restaurant. 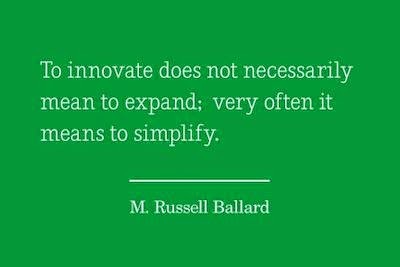 Last week I shared this line of thinking with a Wall Street analyst and they replied. "It's working at Panera Bread". proven anything, except it's an expensive implementation. a "21st century network with our customers" but so far it's just talk. beginning and no one's proven anything. in their best interest to make digital seem like proven technology. And it all sure sounds good - maybe some of it will pay for itself? Wendy's pulled the usual trick on shareholders and some of their franchisees. Following our April 13th industry note in which we noted that McDonald’s of Northeast Pennsylvania was offering a free Egg McMuffin for customers who provided – of all things – a breakfast receipt from rival Taco Bell, Katie Little of CNBC informed us that another group of McDonald’s restaurants is offering the same deal. This involves McDonald’s restaurants in the Coastal Bend of Texas. 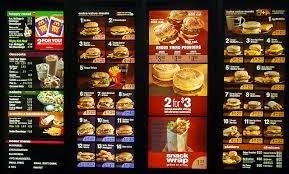 That group of McDonald’s restaurants tweeted out this past March 30th, “Bring us your Taco Bell receipt, and get yourself a free Egg McMuffin for Breakfast.” Sounds like that doesn’t even have to be a breakfast receipt! Kalinowski’s take: The best response to all this comes from Taco Bell itself: “. 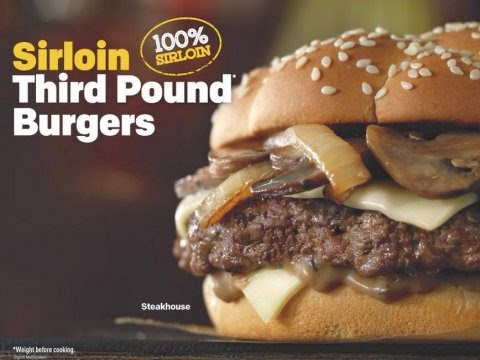 @McDonald’s Why not make this offer available nationwide?” Yeah, we’d like it too if the 800-pound gorilla in our industry was promoting us – and in some cases, literally asking folks to go buy our product as part of a promotion. If we were McDonald's, we would mandate that all restaurants immediately cease these promotions of our smaller rival, no exceptions. And, to the extent Twitter etiquette permits this, and to the extent it wouldn’t break any laws, if we were McDonald’s we would even mandate that all McDonald’s restaurants’ past tweets mentioning (directly or indirectly) Taco Bell and/or Taco Bell’s “breakfast defector” promotion be immediately deleted. McDonalds Giving Away Breakfast for Taco Bell Receipts. Taco Bell so they can eat free at McDonald's the next day? tunately it's one of the younger directors. Can McDonald's go Premium and Keep the Dollar Menu? There are comments on this website about an independent McDonald's Operator group that would theoretically have some influence on McDonald's corporate franchising decisions. That group already exists - it's called OPNAD. of forming an independent association while at the same time voluntarily sending Billion$ into the OPNAD fund? And, in doing so, Operators would continue to spend two and three times their contractual obligation on advertising and promotion? Operators should review their franchise agreements and live up to 100% of their obligations. Any thing beyond that is a contribution to enrich McDonald's shareholders and Oak Brook executives. Once you have OPNAD under control (or out of business) then we should talk about a McDonald's Operator association. and belonging to an independent franchisee association. growth in the McDonald's share price so they're looking at mining other company assets. 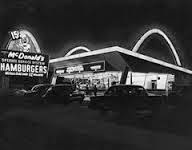 operate about 90 percent of McDonald's restaurants in the U.S.
sector companies such as Target and Wal-Mart."